Abstract This correlational study determined the relationship of locus of control and job satisfaction. Specifically, this study answered the questions: What is the correlation between locus of control and job satisfaction of Iowa, Kansas and Nebraska secondary school assistant principals? What is the correlation between locus of control and job satisfaction of Iowa, Kansas and Nebraska secondary school assistant principals statistically controlling for gender, age and years of experience? A three-part questionnaire was mailed to the current population of 490 Iowa, Kansas and Nebraska secondary school assistant principals who are 1997--1998 members of the National Association of Secondary School Principals. The questionnaire consisted of demographic questions, The Rotter Internal-External Locus of Control Scale (1966), and the Job Descriptive Index (1997). A descriptive analysis of the results consisting of means, standard deviations, and ranges was compiled. Pearson Correlation Coefficients were used to determine the correlation between locus of control and job satisfaction. Multiple Regression Procedures were conducted to illustrate the relationship among the Pearson Correlation Coefficients of the Iowa, Kansas and Nebraska secondary school assistant principals. The mediating variables, gender, age and years of experience as a secondary school assistant principal were also used in the Multiple Regression Procedures to determine what, if any, effect these variables had on the correlation coefficients. The results of this study showed no significant relationship between the correlation coefficients of locus of control and job satisfaction of all secondary school assistant principals; the secondary school assistant principals had an internal expectancy of control with a high level of job satisfaction. 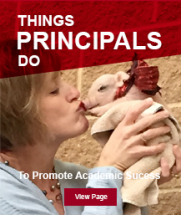 A significant difference between the correlation coefficients of locus of control and job satisfaction among the Iowa and Nebraska secondary school assistant principals as compared to the Kansas secondary school assistant principals was found. The mediating variables, gender, age and years of experience as an assistant principal had little effect on the correlation coefficients of locus of control and job satisfaction.